Mark, Matt, and Frank are back in studio with a brand new episode for you all! We wax nostalgia with talk of movies in the 1980's and run through some our favorites. When we say run we mean it as several films are name dropped because the 1980's rocked so much we probably forgot a bunch of them! Why the 1980's talk though? Because Stranger Things has taken the world by storm on Netflix and we talk about the show and why you should watch it and all it's 1980's style glory! We also give our thoughts on the latest entry in the DC Film's Universe that is Suicide Squad. Did we agree with all the critics out there that tore the film apart or did we think it was a little better than that low rating it has on that tomato website? Listen and we tell you! We discuss the latest trailer for Rogue One: A Star Wars Story and Batman: Return Of The Caped Crusaders is coming to a Blu-Ray near you and we talk about it's fantastic trailer that was released! 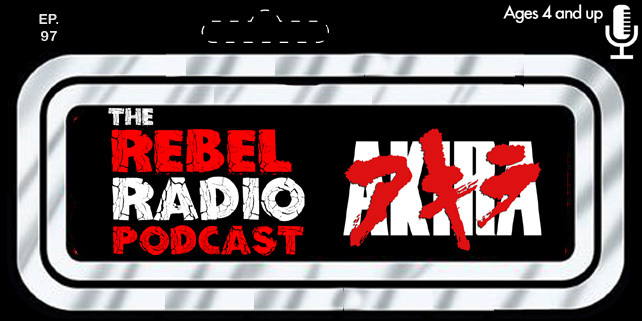 Listen and enjoy this fun new episode of The Rebel Radio Podcast!